Do you remember this booklet? Was this 28-page publication carrying classified adverts, articles, photographs, and local information a one-off? 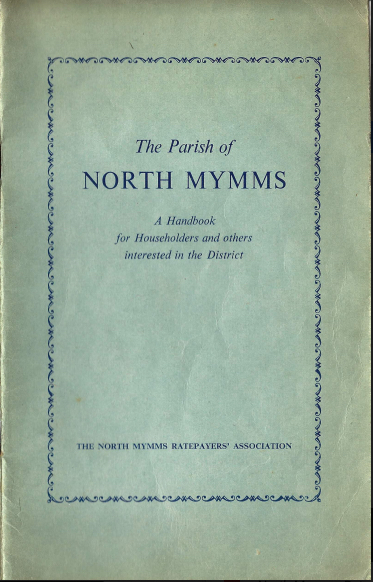 According to local historians, it was published by the North Mymms Ratepayers' Association in 1948. The Association was formed in 1929 and morphed into the North Mymms Residents' Association during the 1980s, finally expiring in 1999 due to lack of volunteers to run the committee. The association had a Green Belt Preservation Committee, which became the North Mymms District Green Belt Society in June 1976, and which is still going strong in 2018. The booklet below has been loaned to this site by local historian and archivist, Peter Miller, so that it can be uploaded so more people can access it. You can expand the document below, as well as download and print it.